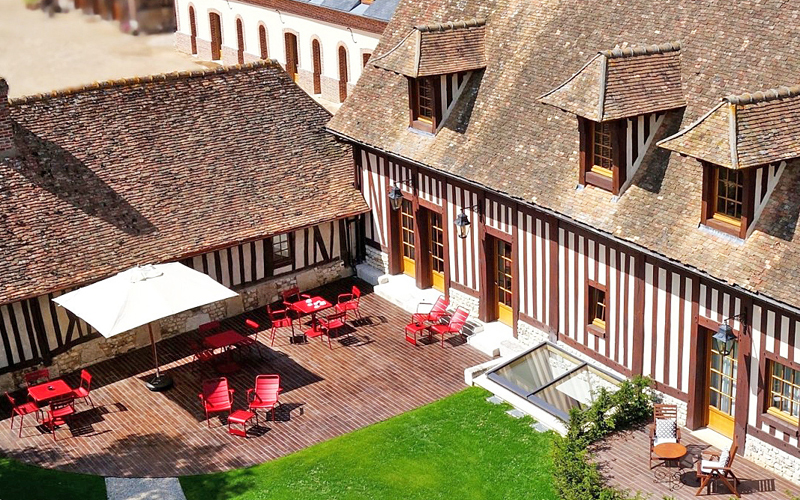 The best way to experience la belle France is by staying in a beautiful manoir, maison d’hote, gite or chateau. 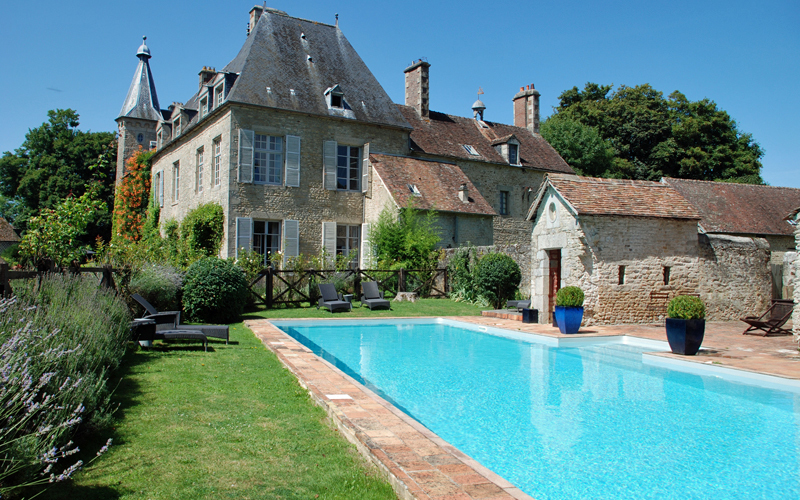 We’ve cherrypicked our favourite rural retreats for a perfect family holiday dans la campagne. The Villas St Pierre de Serjac are a collection of well-designed 2-4 bedroomed houses set on a working domaine in an authentically French corner of the Languedoc. Each has a brilliant kitchen, some have private heated pools, and all share tennis courts, a great restaurant, a spa and a big heated infinity pool. Nearby, you’ll find laid-back historic villages (check out the excellent Pezenas market) and beautiful rolling hills, and you’re only 40 minutes from the seaside. Hidden in the picturesque Provencal Alpilles Regional Park, this former farmhouse has been reinvented as a spoiling and cosseting spa hotel with a Michelin-starred restaurant and golf course. So far so grown-up. 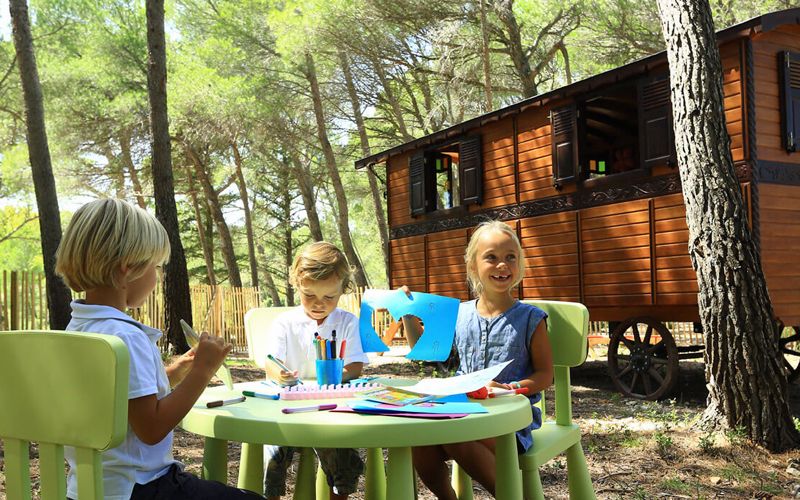 Yet the facilities at Domaine de Manville are truly fabulous: A kids club (for ages 4-12) in 2 gypsy caravans from June-September, plus a playground, a choice of heated pools (in and outdoor), a games room, and electric bikes for rides in the countryside. Wonderful owners Charles-Henry and Ségolène spent 20 years restoring gorgeous 15th-century Chateau de Saint Paterne to its former glory, with added touches of romance and eclectic charm. They now live in its newer (18th-century) wing and will join you for pre-dinner aperitifs. Enjoy the orangerie, outdoor games, trampoline, swimming pool and play areas in woodland and garden. This lived-in family home is a great base for exploring the Loire Valley, Chartres, Le Mans and the Perche. 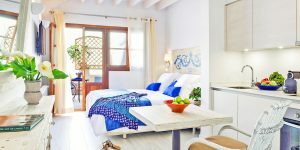 A contemporary villa tucked away within rambling gardens which include a help-yourself organic vegetable and herb patch, Mas de Saribou sleeps up to 8 in 4 bedrooms, and comes with a freshwater pool and quirky design details. Head out to explore the breathtaking Ardèche region by kayaking, wild swimming or canyoning, and be sure to visit the incredible pre-historic paintings at La Caverne du Pont d’Arc. 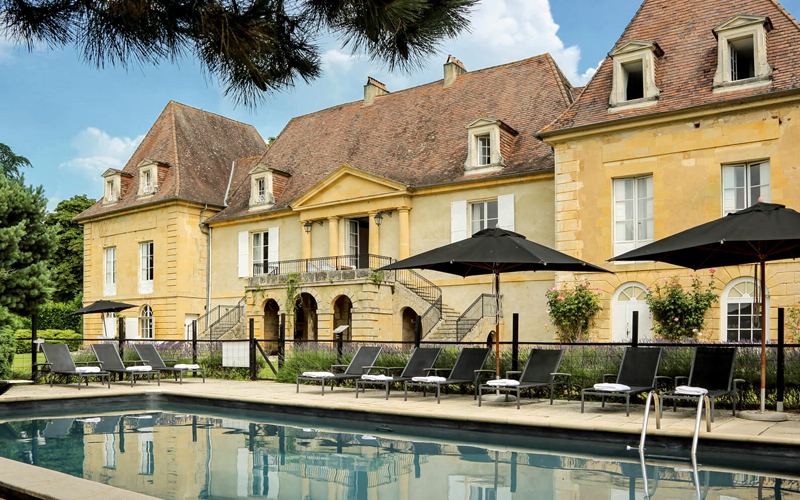 If tasked with designing the ideal chateau, you’d probably end up with something like Chateau les Merles. Long avenue of plane trees? Neo-classical facade? Huge sweep of lawn? Tick tick tick. 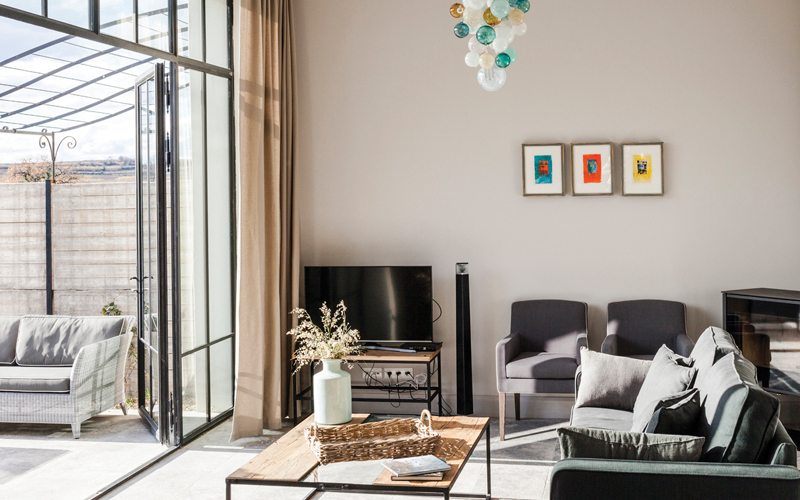 Add clean-cut contemporary decor, a swimming pool with a view, a putting green and driving range, and a gourmet restaurant, plus the flexibility of hotel rooms or villas, and you’ve found a winning combo for families. This handsome, timber-framed 16th-century dwelling has been beautifully converted to a small hotel featuring immaculate rooms, a restaurant serving multi-course seasonal suppers, a snug spa, plus outdoor games, a heated pool and 2 acres of grounds for kids to explore. Manoir de Surville is well-placed for local historic chateaux, abbeys, gardens, beaches and France’s largest tropical zoo. 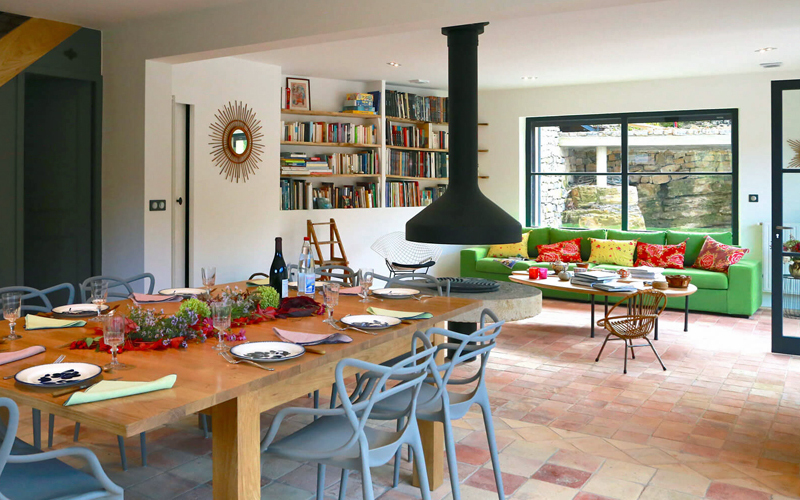 This vibrant yet relaxing hideaway is the perfect rural retreat for families. Nestled on the edge of a village in the heart of historic Languedoc, Metairie Montplaisir has gorgeous family suites, a saltwater pool, fabulous home-cooked food, and a stream running through its grand garden. It’s ideally placed to explore castles, limestone caves and the nearby Canal du Midi. Best of all, the UNSECO-listed medieval citadel Carcassonne is just 10 minutes down the road. Overlooking the magical Cevennes National Park, this former farmhouse in northern Provence has been lovingly restored by owners Olivier and Caroline into a rustic-chic hilltop B&B. 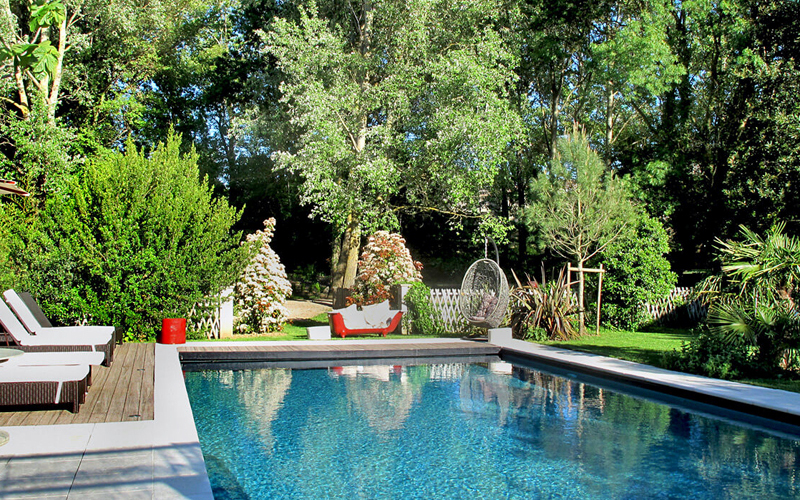 La Maison Papillons has just 6 bedrooms, a lavender-fringed saltwater pool and a pétanque pitch which the kids will adore. 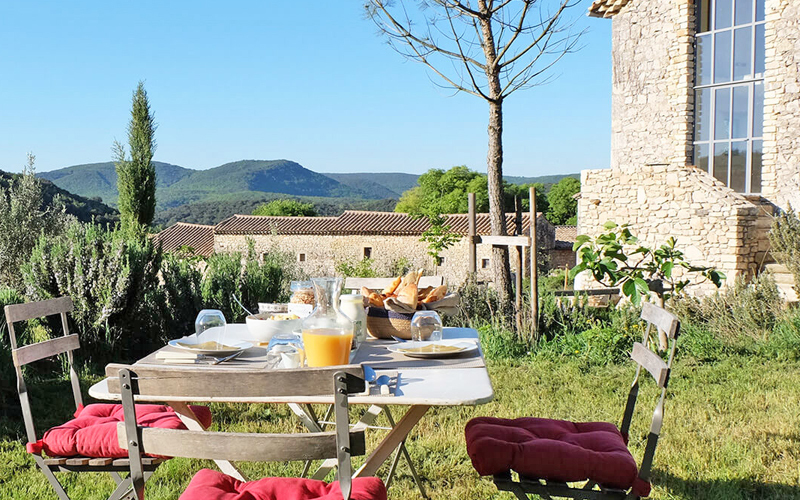 Wake up to a marvellous French feast for breakfast, then hike in the Park, hire bicycles, kayak, visit the regional markets or discover the amazing prehistoric caves in the Caverne du Pont d’Arc.